Adventure Time: The Complete Fourth Season (Blu-ray/DVD Art). ©Cartoon Network. Cartoon Network unveils “Adventure Time: The Complete Fourth Season,” on Tuesday, Oct. 7, on Blu-ray and DVD. The two-disc DVD and single-disc Blu-ray features all 26 episodes from the series’ fourth season, plus extensive exclusive bonus material. The highlight of the bonus features is a 19-minute “Distant Bands: The Music of Adventure Time” featurette with series creator Pendleton Ward, creative director Pat McHale, and the storyboards artists, offering their commentary on the important role music plays in the series. 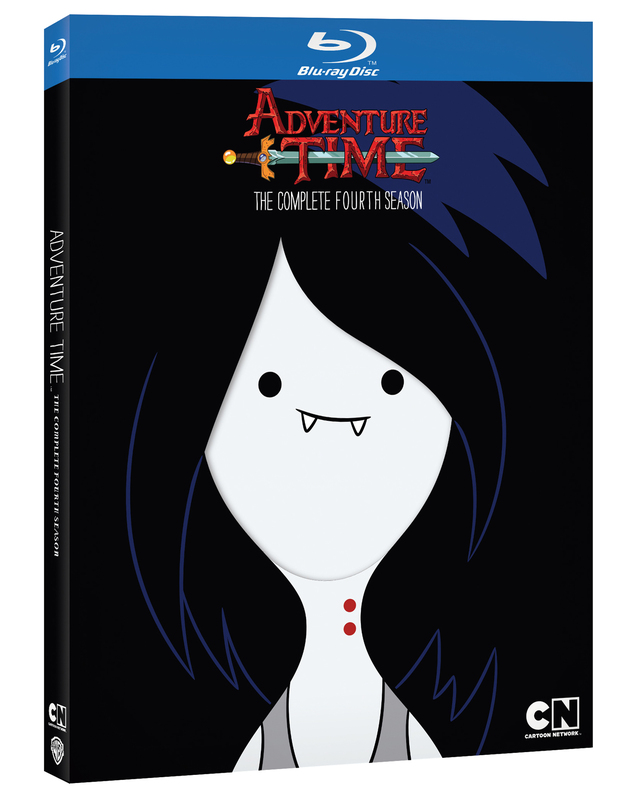 In addition, each episode features commentary with the cast and crew in a collectible Marceline slipcase. The Blu-ray and DVD editions are available for the manufacturer’s suggested retail prices of $32.07 and $26.95, respectively. Now in its sixth season and renewed for a seventh, “Adventure Time” is the #1 rated show among boys 6-11 and the second highest rated show among boys 6-14 and kids 6-14. “The Mentalist: The Complete Sixth Season” also is now available on DVD. The five-disc set features all 22 one-hour episodes of the sixth season that originally aired on CBS, plus a never-before-seen Red John featurette. The manufacturer’s suggested retail price is $59.98. Starring Australian heartthrob Simon Baker as a CBI criminal consultant and former sham psychic Patrick Jane, this sixth season finds Jane closing in on the elusive serial killer Red John, who murdered his family years earlier. Armed with a list of seven suspects, Jane and the CBI team, including Teresa Lisbon, Kimball Cho, Wayne Rigsby and Grace Van Pelt, narrow down throughout the season. Special features in this box set include “Patrick Jane: Redeemed, Recovered, Restored — Bruno Heller (the executive producer) Reveals The Mythology of Red John.” Deleted scenes are also a bonus feature. SXSW 2014 Festival favorite “Space Station 76” is now available on Digital HD and on DVD with an all-star cast including Patrick Wilson, Liv Tyler, Matt Bomer and Jerry O’Connell. This space-age dramedy takes a twist on the future with 1970’s flare, including groovy tunes and wide-leg pants. With over the top personalities on board, chaos ensues on the Omega 76 as a new assistant captain comes onboard (Tyler). Jack Plotnick directs the film, and has a role in it. Bonus features include outtakes with the cast and crew, as well as deleted scenes. A 12-minute featurette called “Zero Gravity: Making Space Station 76,” shows the filmmakers, cast and crew recounting what it was like to work on the film. 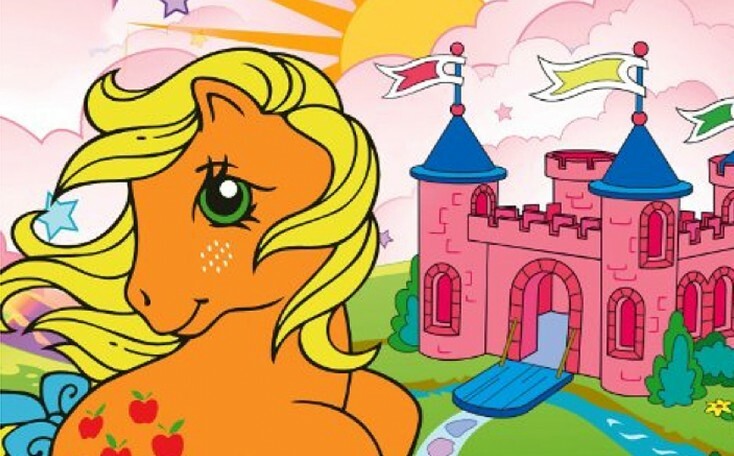 Fans of the original “My Little Pony” TV series will be delighted to know that the complete series, featuring all 65 episodes, is now available in a new DVD box set. All of the classics, including Earth Ponies, Unicorns, Pegasus Ponies, Flutter Ponies, Sea Ponies, Baby Sea Ponies and their human friends Megan, Danny and Molly and of course, their dragon friend Spike! are all here. Available from Shout! Factory Kids in collaboration with Hasbro Studios. Also available on DVD is “My Little Pony: Escape From Catrina and Other Adventures.” When the evil, cat-like Catrina attempts to enslave the Little Ponies of Paradise Estates to create a Witchweed potion that will give her control of the weather, it’s up to Sundance and Baby Moondancer to save the day. The DVD also includes fan-favorite episodes including “Little Piece of Magic,” “Would be Dragonslayer,” “The Revolt of Paradise Estate,” “Rescue From Midnight Castle” and more.